In October of last year, I decided to find something that I could do from home. It wasn't really about the money (though extra $$$ is always nice). I was simply beginning to feel like I needed something to do for myself. I love being a wife & mother but for someone who has worked since they were fifteen years old, I missed having an occupational purpose. So I did what most people do these days... I took to Facebook. The friend who I tagged, Lily, just happens to be one of the ladies behind a wonderful website design business, SYTbiz.com. Her, her sister, & their graphic designer design Wordpress websites that are pretty impressive. If I do say so myself. Anyways~ it just happened that around the time that I posted this status update, they were in need of a Virtual Assistant. Lily messaged me the next day and we started talking about me possibly filling this position. My personal definition: An awesome job that I can do from home. One that just happens to allow me to help others while doing things that I honestly enjoy doing. Now that you know what a virtual assistant (VA) does, let me continue. 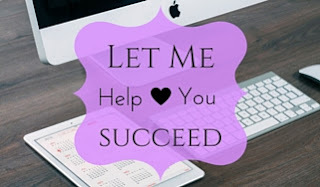 Not long after I had talked with Lily, I was officially their new VA. By taking on various tasks, I freed some of their time so that they could focus more on their clients and their personal needs. Taking this position also started the gears to turning in my mind. Why not help others like I was helping Lily and her sister? Why not start my own VA business? And just like that... starting Bevil Virtual Assisting was set into motion. As part of my payment, SYTbiz put my wonderful website together and took it live for me. It's still in the "baby stage" but I'm finally getting things together. For once in a very long time I finally feel content. And another awesome thing about my new business: it allows me to continue learning new things as well. All the time! If you're currently looking for help on an upcoming project or would just like a little added help where reaching more people where social media is concerned, I'm your gal. Are there tasks that you keep putting off because you just find them so mind numbing? Get in touch for your free consult today ---> Just fill out the contact form at the bottom of the page.